I live for breakfast! I’m always ravenous when I wake up in the morning and need energy to keep me going throughout the day. My favourite breakfast foods are none other than the classic bacon and eggs. I’ll take my eggs- scrambled or fried and I love my bacon crisp. A few months ago, I tried Butterball Original Bacon Style Turkey and it was a hit! I loved that it has 50% less fat than regular bacon and is made with 100% turkey. 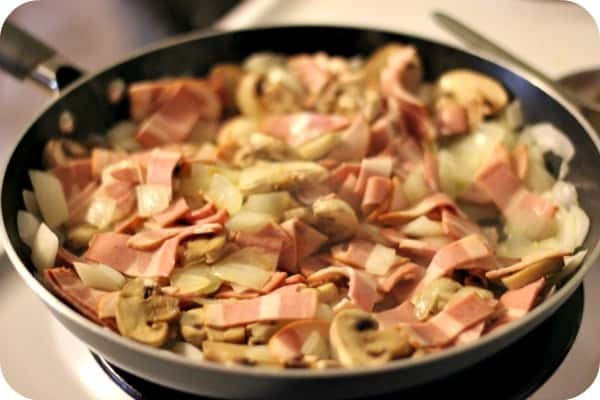 You cook just like you would regular bacon, but it will not shrivel into nothingness like your ordinary bacon. It pretty much stays the same size so you get a good full serving. Flavour wise, it’s delicious. 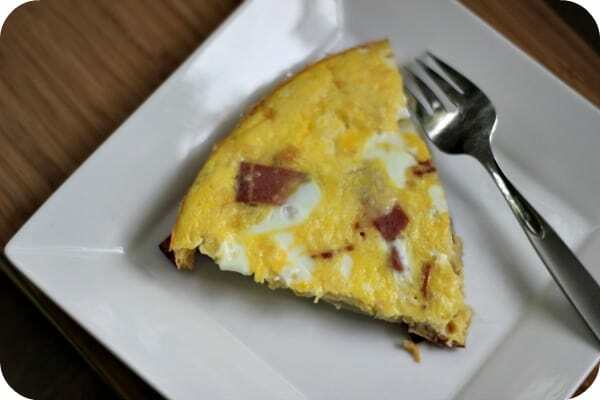 It tastes like, well, bacon- smoky, crispy and the perfect complement to some scrambled eggs. I like my low carb meals because it seems to be the best way for me to lose weight and keep it off. 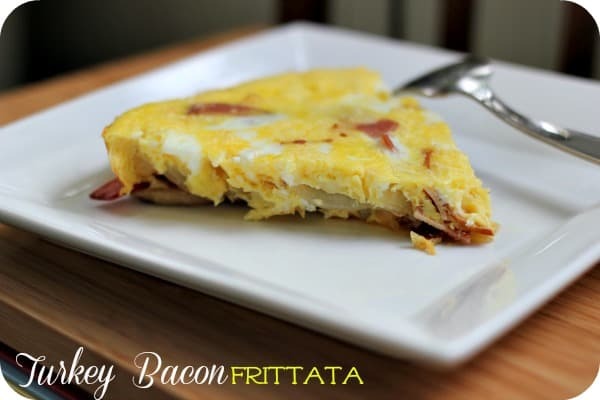 One of my favourite low carb recipes is Frittata. I enjoy experimenting with different ingredients to see how it turns out. 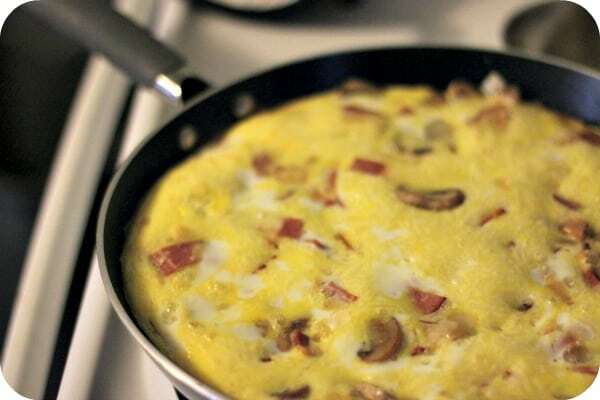 I decided to make a Turkey Bacon Frittata with Butterball Bacon Style Turkey. I only used half the package and the other half I made my own bacon bits for Caesar Salad. It was scrumptious! I could eat it for breakfast, lunch and supper! 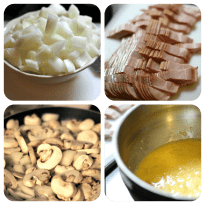 Have you tried Butterball Bacon Style Turkey? Connect with Butterball Canada on Facebook & Twitter. An easy low carb breakfast! 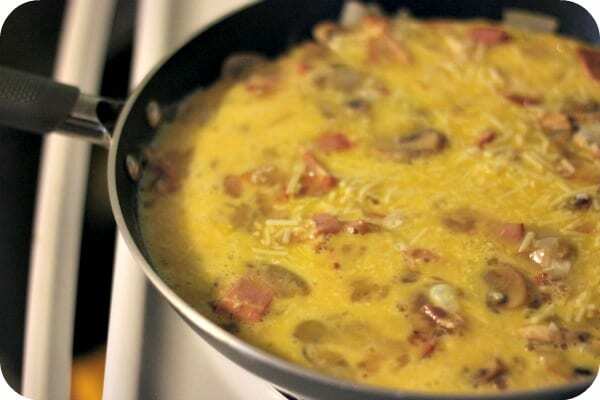 Whisk eggs & Parmesan cheese together in a bowl and set aside. Melt butter in a pan over medium heat. 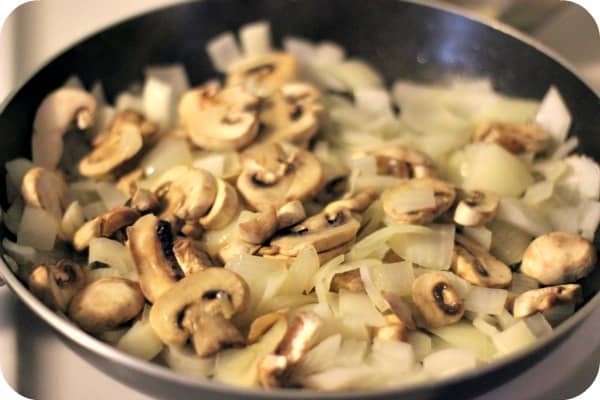 Add onions & mushrooms and cook for about 10 minutes. Then preheat your oven to 350°F. Add in Butterball Bacon Style Turkey and continue to cook for another 10 minutes or until you reach the desired crispness. Pour egg mixture on top of meat mixture. Do not stir. Cook for an additional two minutes. Put your entire pan into the 350ºF preheated oven and cook for 15 minutes. Let cool for about 5 minutes and serve.